And if one wanted to play historical snap, one could talk about the massive change to the demography of several Provinces caused by British importation of Indian labour over several decades – and indeed the settlement by the Kandyan kingdom of Muslims in the East, when the colonizers chased them away from the West so as to take over the trade wholly. But as Mr Sambandan granted when faced with these facts, It would be wrong now to talk of reversing any of these past actions. So he in effect agreed that there was no point arguing about the past, what we needed to do was to prevent abuse in the future. That was the key principle on which Sumanthiran and I worked, namely to take into account the fears of all stakeholders. Obviously the Tamils feared colonization by Sinhalese in areas where they were now in a majority. While such fears should not be relevant if it was only the Sinhalese who needed land, obviously now Tamils too needed land, and it was therefore clearly more equitable that those from a particular area be given preference in colonization schemes (which indeed was what the Sinhalese of Vavuniya South told me in objecting to the importation of new settlers from the South to some areas in Vavuniya North). At the same time government feared alienation of land by a provincial authority to foreigners. There were also worries about excessive grants, given the swathes of land available, to only one community, when there were large numbers of landless in the other communities. 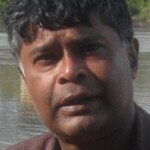 These latter fears could obviously be got over in terms of the existing constitutional provision about alienation of land being the prerogative of the President, but equally obviously there was need for allowing Provincial Councils authority in this regard, given that they would understand better than the Centre actual needs at any moment. We therefore recommended delegation of powers for limited amounts of land. At the same time we made clear the right of the Central Government to make use of land for public purposes, but emphasized that this should be in consultation with Provincial governments. I think the more insidious of my colleagues frightened the President in this regard, perhaps not knowing the difference between requiring consultation and mandating concurrence. Whatever the reason, he rang me up just before we were to present our proposals to warn me against granting too much. This was ironic, because I found that Sumanthiran had been upbraided by others on his side who thought he had conceded too much. But we assumed that, after each side had made its points, we would go back to what we thought our very balanced draft. Unfortunately Mr Sambandan went into a long rigmarole about historical abuses, which led to an equally long riposte from Prof Peiris. And while I have no doubt that we would have returned to our proposals in any future discussions, that was when my colleagues evidently decided to call a halt to the negotiations. Though there were a few more, I was not told about them, and discussions were reduced to prerequisites for the TNA to participate in the proposed Parliamentary Select Committee. On this government was incredibly foolish, for what was earlier agreed was to talk on the basis of the points raised during the negotiations, including most importantly the claims made by the TNA before I joined the process. Government however failed to act on this agreement, which led to Mr Sambandan having a meeting with the President at which point the net was thrown wider, and various past proposals, some of which now make no sense, were also brought into play. I suspect no one briefed the President on how easy it would have been to proceed on the basis of recent claims, so he allowed himself to be talked into what would have been endless regurgitation of past history. I can understand therefore why government did not table all the past proposals Mr Sambandan had brought to the President’s attention. But by failing to focus on some simple issues, they have allowed the PSC to become a joke – as has been correctly stated now by the two parties that first persuaded the President to take that ridiculous path. And while the JHU and NFF rarely came to meetings of the PSC, its sensible members have been at fault in not preparing a report based on the positive proposals that came before them. 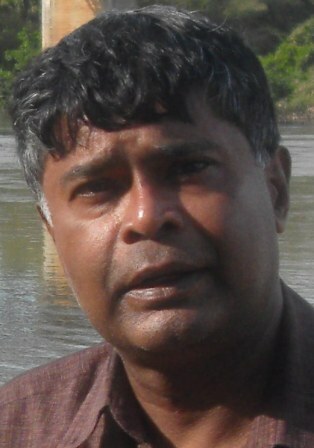 Obviously I would think the Liberal Party proposals were the most sensible, but I also found that Vasantha Senanayake, acting on behalf of a group of young people, having led a group of young Parliamentarians in meetings with members of the diaspora, had also produced comprehensive proposals. I gathered that the PSC members who had listened to him had found them convincing, so it is a pity they did not take them further. Vasantha himself tried, through a Constitutional Amendment to introduce one of his most significant suggestions, to limit the size of the Cabinet. Intriguingly, Rev Ratana has now adopted one of the ideas Vasantha had had gazetted when he introduced the Amendment, namely that the President should hold only the Ministry of Finance. 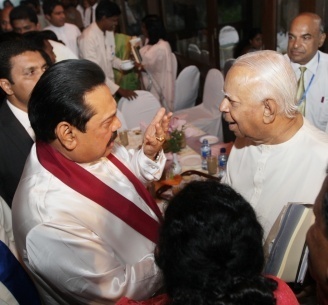 It is tragic then that the President did not immediately support Vasantha’s amendment, and introduce at least some of the changes the country wants through someone whose loyalty to him is beyond question. Instead he has laid himself open to having to engage in reforms under pressure from those who would break their links with him at the drop of a hat, to seek greener pastures. Let me conclude then with the actual draft Sumanthiran and I presented to the negotiating teams, noting too that we also felt it was vital to move immediately on the constitution of a Land Commission. This had been envisaged in 1987 but, with the incompetence that seems to have become endemic in government ever since the Cabinet became of monstrous size so that coordination was impossible, this was forgotten. 1.1 State land required for the purpose of the Government in a Province, in respect of a reserved or concurrent subject may be utilised by the Government in accordance with the laws governing the matter. The Government shall consult the relevant Provincial Council with regard to the utilisation of such land in respect of such subject. 1.2 State land required for the purposes of a Provincial council in respect of a Provincial or Concurrent subject may be utilized by the Provincial Council in accordance with the laws governing the matter. The Provincial Council shall administer, control and utilise such State land, in accordance without the laws and statutes governing the matter. 1.3 Alienation or disposition of State land within a Province to any citizen or organization shall be on the advice of the relevant Provincial Council, in accordance with the laws immediately prior to the coming into force of this amendment and statutes governing the matter and in accordance with Article 33 (d). 1.4 The Provincial Land Commissoner shall be deemed to be authorized by the President to grant or dispose of State land as referred to in Article 33(d), not exceeding 5 acres in extent. 1.5 The Provincial Land Commissioner shall be deemed to be authorized to grant leases for periods not exceeding 50 years. 1.6 Any disagreement between Provincial and Central authorities in this regard shall be referred to an arbitration mechanism as provided in ……. The principles and criteria regarding the size and allocation of lands arising out of special projects and their application will be determined by the Government in consultation with the Provincial Councils. The selection of allottees for such lands with be determined by the Provincial Council. I typed out the full text of Appendix II, and in the process, have suggested some changes. The main one is the new 1.5 to deal with the concerns regarding limiting the period of leases, since Article 33(d) deals only with grants and dispositions. Please let me know if you agree. On the Police powers, the National Police’s intervention must only be at the invitation of the Chief Minister. But that can wait, since we are not going to present it on Monday. Thanks, on blackberry so cannot check properly, but I think there is a ‘without’ that should be ‘with’, in the description of Provincial Land. Also specifying the Provincial Land Commissioner may be contentious since this is by delegation from the President in constitutional terms. Best to present the original as the consensus paper but add the rest on as further clarifications from your point of view for discussion. And, as a coda, I should note that Sumanthiran and I also discussed how easy it would be to resolve the question of police powers, if one stressed the difference between policing for community purposes and that which involved security considerations, including grave crimes. We had no doubt that we would have been able in a short time to produce a draft in that respect too which assuaged all fears. But I suppose that was not in the interests of the hardliners on either side. Shiranee Should Not Hear Petitions Relating To PSC Report!